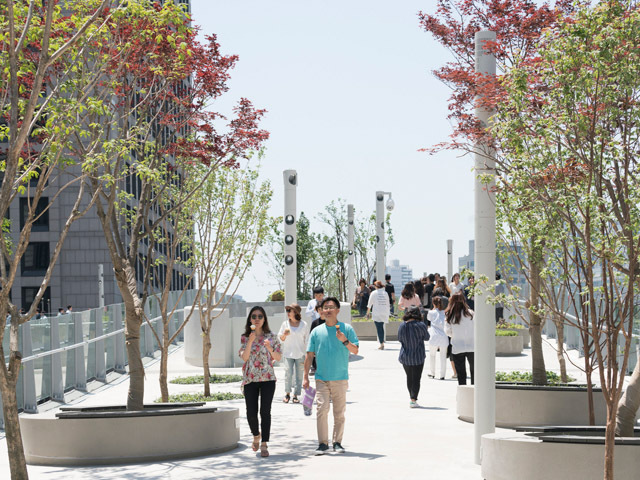 South Korea’s answer to the High Line has just opened in Seoul in the shape of a kilometre-long elevated park featuring 24,000 trees, shrubs and flowers to create a more pedestrian-friendly passage across the busy city. 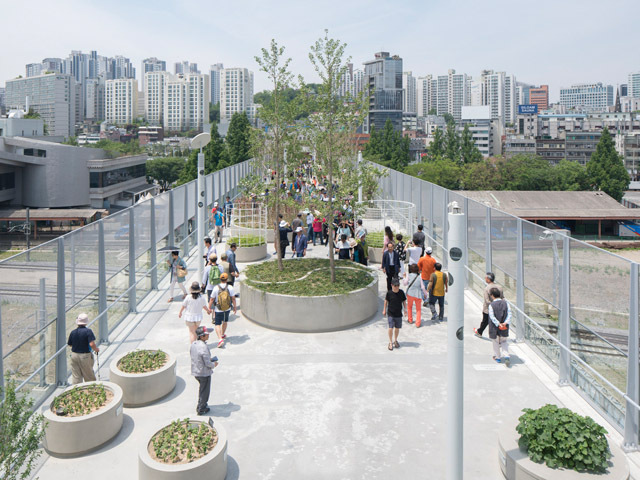 A former overpass in Seoul has been transformed into a green walkway by Dutch-based architecture firm MVRDV. 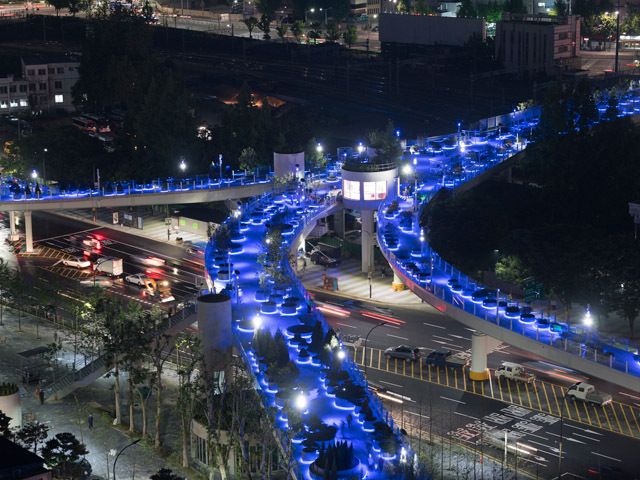 Creating a kilometre-long route that soars over ground traffic, the new Seoul skygarden is South Korea occupies a large section of an old highway that was destined for demolition. 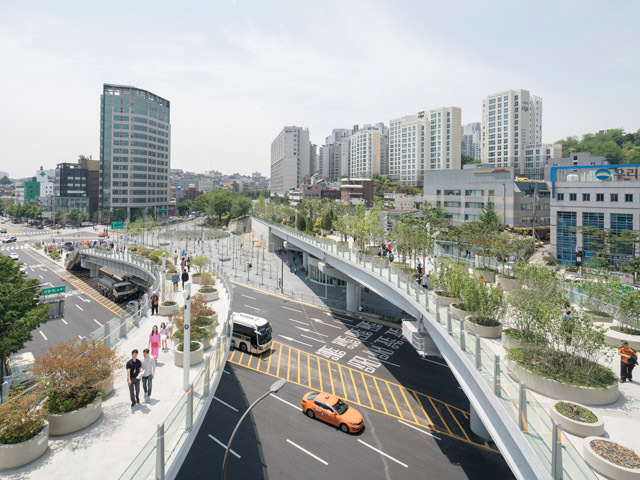 The parkway, called Seoullo 7017, which translates as Seoul Street, is one aspect of a larger masterplan that aims to create more pedestrian-friendly spaces for the city. Years in the making, the project fuses together original construction with renovation works to create an integrated parkway stretching across the city. Lined with circular planters that contain a collection of 24,000 trees, shrubs and flowers, Seoul Street runs over the top of Seoul Station, connecting Namdaemun Market with the city's Malli-dong, Jungnim-dong and Cheongpa-dong neighbourhoods. 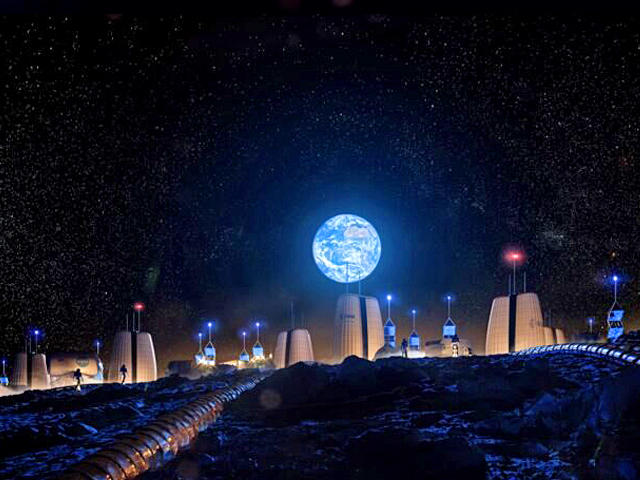 Blue lighting surrounds the planters and illuminates the walkway at night. 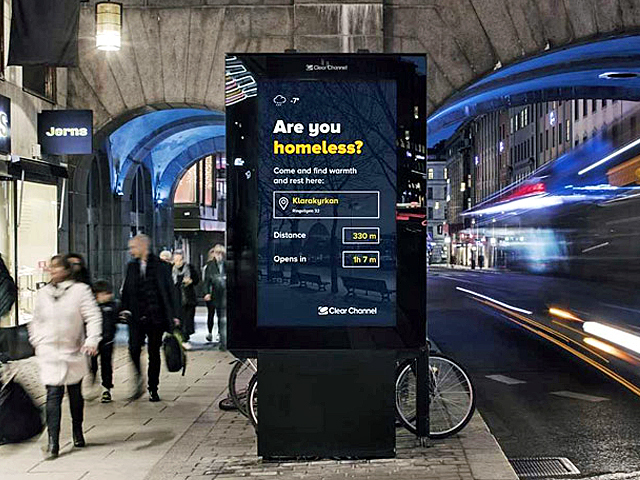 These light installations can be changed to suit different needs, changing colour to highlight various festivals and events. 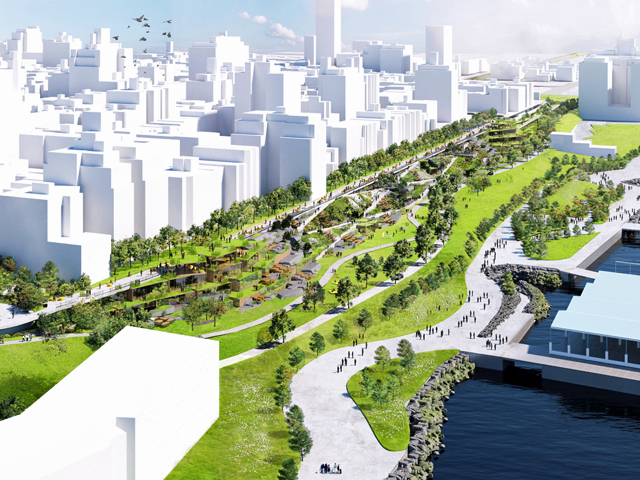 The park is also expected to serve as an "urban nursery", with plants and trees grown on the walkway eventually transplanted to other districts. 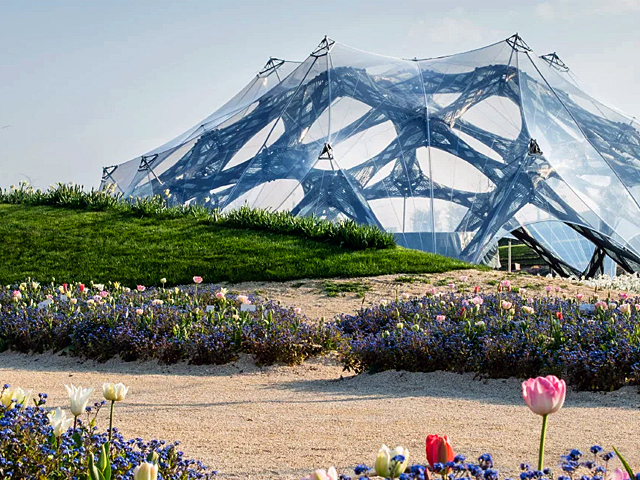 "Located in the heart of Seoul, a true plant village has been realised on a former inner-city highway in an ever-changing urban area," said MVRDV. 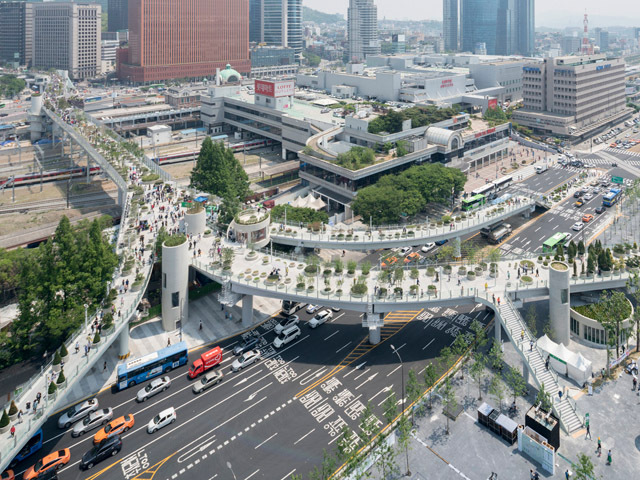 "The pedestrianised viaduct next to Seoul's main station is the next step towards making the city, and especially the central station district, greener, friendlier and more attractive, whilst connecting all patches of green in the wider area." The viaduct, a 16-metre-tall concrete and steel structure, features a network of bridges and stairs that connect to hotels and shops. 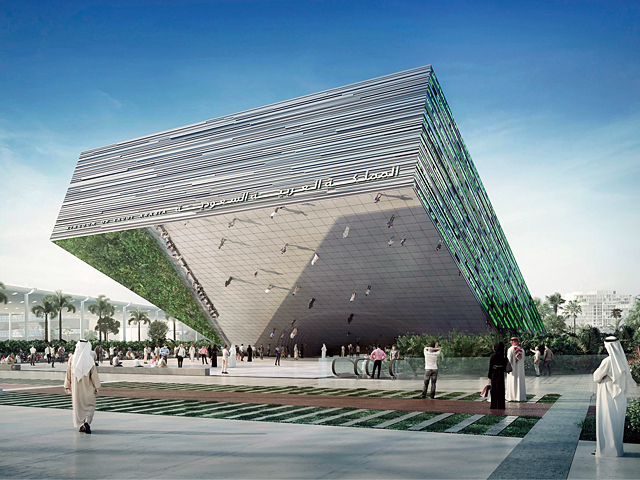 Plans for future development to street level and ‘satellite’ gardens are planned for the future. 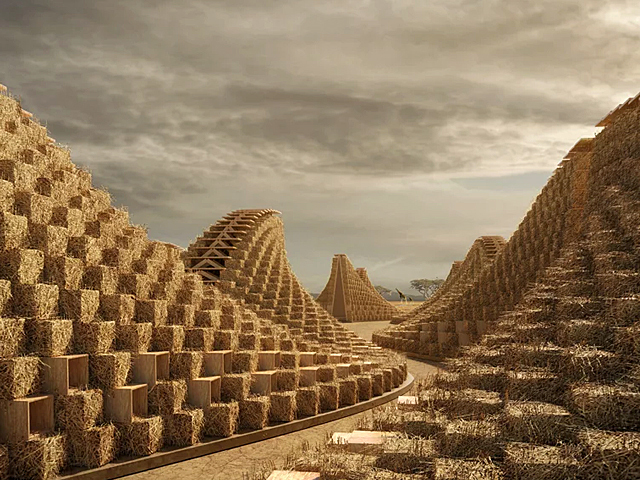 The project follows in the footsteps of the High Line, which James Corner Field Operations and architects Diller Scofidio + Renfro created in New York.